Unless you lived through the 1970s, it seems impossible to understand it at all. Drug delirium, groovy fashion, religious cults, mega corporations, glitzy glam, hard rock, global unrest--from our 2018 perspective, the seventies are often remembered as a bizarre blur of bohemianism and disco. 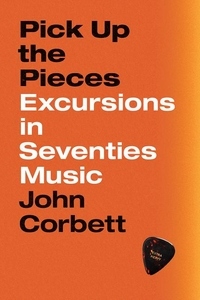 With Pick Up the Pieces, John Corbett transports us back in time to this thrillingly tumultuous era through a playful exploration of its music. Song by song, album by album, he draws our imaginations back into one of the wildest decades in history. Rock. Disco. Pop. Soul. Jazz. Folk. Funk. The music scene of the 1970s was as varied as it was exhilarating, but the decade's diversity of sound has never been captured in one book before now. 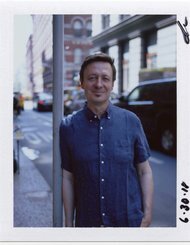 Pick Up the Pieces gives a panoramic view of the era's music and culture through seventy-eight essays that allow readers to dip in and out of the decade at random or immerse themselves completely in Corbett's chronological journey. An inviting mix of skilled music criticism and cultural observation, Pick Up the Pieces is also a coming-of-age story, tracking the author's absorption in music as he grows from age seven to seventeen. Along with entertaining personal observations and stories, Corbett includes little-known insights into musicians from Pink Floyd, Joni Mitchell, James Brown, and Fleetwood Mac to the Residents, Devo, Gal Costa, and Julius Hemphill. A master DJ on the page, Corbett takes us through the curated playlist that is Pick Up the Pieces with captivating melody of language and powerful enthusiasm for the era. This funny, energetic book will have readers longing nostalgically for a decade long past.